I'm a experience Home Improvement Technician and supervisor of a team of experience and professional painters. As a company we focus on providing the best service and best paint with a strong focus on non-VOC paints. 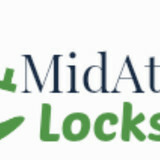 Mid-Atlantic Locksmith is a trustworthy locksmith company that offers a diverse range of services. We provide services such as broken key, lock installation, lock repair, emergency unlock and various other unlock services. We are committed to delivering nothing but the safest and finest quality services to our clients. Pro Handyman is your personal home improvement consultant and a trusted, knowledgeable resource that is part of a leading national service franchise. Our experienced, professional home repair and improvement technicians are skilled craftsmen with an average of 10 years of experience in the trades. We’re so confident in the work we perform that each job we do, whether a repair, installation, assembly or organization task, is backed by our Done Right Guarantee. You don’t have time to spend on a service that’s less than reliable and dependable, and you shouldn’t let just anyone in your home. When you need professional handyman services you can trust and depend on to get it done right, you can count on Pro Handyman. We are a locally owned and operated company with over 15 years of industry experience. We value honesty and integrity in all aspects of our business. We offer a variety of Home Improvement services that are customizable to each individual project. We specialize in handyman/carpentry work and a variety of related service and repair projects. We pride ourselves on the quality of our work as well as our commitment to outstanding results. We look forward to building lasting relationships with our clients and guarantee your satisfaction!. Performance Summary: Hardworking, all-rounder with a special talent for performing all kinds of repair, maintenance and housekeeping tasks. A good communicator with a demonstrated ability to deal with varied inquiries in a timely manner. Friendly approach with a keen eye for detail. Thorough understanding of current health and safety guidelines. D.E.S Home Solutions is a family owned home services business. We provide support to the Northern Virginia Community. D.E.S delivers excellent service in Kitchen and Bath Remodeling, as well as floor instillation and exterior cleaning and protection. 2K Home Services is committed to giving homeowners friendly, reliable service. When you hire one of our Quality handymen with experience in the field, you will always get a technician that is well qualified & equipped to handle any and all types of work. Our Qualified Technicians will get the job done correctly the first time! Customer service is important to us. When you schedule an appointment with 2K Home Services Human Resources, we will send you an email to confirm our appointment. Our values boil down to punctuality, quality, and customer satisfaction. Our team is experienced in maintenance, installation, repair, and a variety of other home improvement skills, and you will have peace of mind knowing the job will be done right. Whether you’re updating light fixtures or embarking on an entirely new project, we treat our work as high art: installations, handyman work and renovation services. Metro Pro Services is licensed and insured. 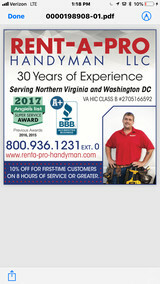 Jim The Handyman is a family run handyman business established in 1984 in Northern Virginia. We offer a wide range of services and free estimates, so we can get your home to-do list checked off, and your house in tip top shape! Jim The Handyman specializes in the home improvement and repair industry with our core competencies being carpentry, drywall, door installation and repair, screen and window repair, tiling and tile repair, caulking, painting, pressure washing, furniture repair and assembly, light bulb and filter replacement, odd jobs, and small jobs. We pride ourselves on our quality work, cleanliness, and trustworthy service. We’re licensed and insured, and have references on hand for your peace of mind. Give us a call so we can get your house in tip-top shape! 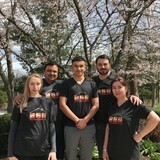 We service Fairfax, VA and the surrounding area: Fairfax, Merrifield, Springfield, Annandale, Franconia, Vienna, Falls Church, Tyson’s, Dunn Loring, Pimmit Hills, Lorton, Burke, Clifton, Fairfax Station, Oakton, McLean, Arlington, Crystal City, Shirlington, Alexandria, Lincolnia, Fort Belvoir, Mt. Vernon, and beyond! Hi, my name is Roy and I’m offering handyman services in Rockville MD area. I have more than 10 years of experience in flooring, painting, roofing, minor plumbing, deck repair, carpentry and more. Call me NOW and let me solve your problem! Capitol Handyman has been handling home repairs for customers in the Washington Metropolitan area for over 15 years. Client satisfaction is our No. 1 priority. We have references available from numerous satisfied customers. We specialize in painting, drywall, plumbing, carpentry and small home repairs. Rest assured--we are licensed and bonded. We are happy to provide you with a free home estimate. Be sure to check out our 5-Star reviews on Yelp. What can a local Jessup handyman do? While home handyman services in Jessup, MD usually cover most of these things, sometimes it’s better to hire a specialized professional so do certain jobs, especially if it’s related to major plumbing or electrical fixes. Here are some related professionals and vendors to complement the work of handyman: Heating & Cooling Sales & Repair, Plumbers, Electricians, Roofing & Gutters. Find a Jessup handyman on Houzz. Narrow your search in the Professionals section of the website to local handyman servicesin Jessup, MD and read reviews and ratings to find one that fits your needs.